Is Full Tilt Poker Rigged? Does Full Tilt Poker Cheat Players? Is Full Tilt Poker Trustworthy? On April 15, 2011, the FBI seized the Full Tilt Poker .com domain. The seizure occurred due to a series of indictments against owners and employees of the website. The indictments were a result of an investigation of the company by a federal grand jury that began on April 5, 2010. Many of these indictments were successful, resulting in jail time and financial penalties. The most notable result of this effort was a guilty plea by the founder of Full Tilt Poker, Raymond Bitar. He pled to wire fraud, violating the UIGEA, and operating the business like a Ponzi scheme. This admission resulted in time served and forfeiture of $40 million, and it has forever tarnished the Full Tilt name. Full Tilt Poker was founded in June 2004, about two years prior to the Unlawful Internet Gambling Act of 2006. Initially, the company was privately owned by Tiltware, LLC. The original Tiltware ownership was involved in a number of legal disputes even prior to the grand jury investigation, and a pattern of exploiting customer and employees developed. The acquisition of FTP by Rational Entertainment Group was the first attempt to distance the brand from that negativity. Most recently, the Amaya Gaming Group, which is based in Canada and a publicly traded company, acquired the Full Tilt Poker brand through its acquisition of Rational Entertainment Group. Almost immediately, Amaya rebranded Full Tilt Poker as Full Tilt and expanded the offerings beyond poker to slot machines and other casino games. Over the years, much of the focus on the trustworthiness of Full Tilt Poker has concerned the manipulation of money to cheat clients and employees. Nevertheless, there has been a prevalent and persistent belief among the online poker community that FTP has rigged or at least “tuned” games. Interestingly enough, there are even a number of videos on YouTube that demonstrate some rather fortunate, or unfortunate as the case may be, card deals over an extended period. Video evidence like this can be evocative, but it is important to note that bad beats and great fortune are all part of the game. Although we feel a bit dirty defending FTP in this regard, the truth is that video of a random event like dealing playing cards can be used to support any position. What people must ask themselves is what FTP has to gain from rigging games. An online poker room is not like an online casino. The house makes money from the rake. It never loses, and the rake is the same regardless of which players won or lost. Let us put all the cards on the table, so to speak. One of the reasons Full Tilt Poker owners were indicted was operating the company as a Ponzi scheme. What this meant to the average FTP player was that the money expected to be in their accounts never actually was. The company achieved this by shuffling money around, a shell game of sorts. This shell game could only go on for so long until someone had to pay the piper. This is about the time that FTP began using unscrupulous practices to withhold winnings. In one notable case, poker pro Lary Kennedy sued FTP because the company had seized $80K of her winnings and provided only a baseless excuse. For the average player, this kind of cheating is the main concern. If a person deposits $100 into their Full Tilt Poker account, they can expect that money to be there regardless of the shell game for playing purposes. But what happens when the player wins and expands that bankroll beyond the initial $100? Now, some will defend FTP by emphasizing that these actions were performed years ago by people who are no longer involved. Nevertheless, FTP has a long history of this kind of behavior, and there are still lawsuits and complaints filed against this brand today. Keep in mind that despite settling with the U.S. Department of Justice, Full Tilt Poker and all other Full Tilt services are still prevented from operating within the U.S. for the purposes of real money games due to the UIGEA. There are exceptions, such as in New Jersey and Nevada, states that have state laws that override the UIGEA and legalize online gambling. Full Tilt Poker is a company headquartered in Ireland, which is now owned and operated by a Canadian company, Amaya Inc. Amaya also owns the PokerStars brand. Click here to find out if PokerStars is a scam or legit. Amaya recently altered it’s long standing affiliate relationship with it’s marketing partners to no longer pay commissions on referred players older than two years, an abrupt and massively damaging change that has turned away many long standing partners. Previously, marketing affiliates were compensated based on the life of the player. So not only do customers have to worry about getting paid, so do their business partners. Amaya also quietly added a 2.5% foreign currency exchange fee when depositing or withdrawing funds, without letting any of their customers know, and increased the rake on most of their poker games. But probably one of the most ridiculous things about the management team at Amaya, is that they hired Paul Legget as the Head of Online Gaming in 2013! Paul Leggett was the COO of Tokwiro Enterprises – the company that owned and operated UlitmateBet/UB Poker and Absolute Poker! Along with Full Tilt, UB and Absolute Poker operated the biggest poker scams of all time. UB and Absolute Poker had a superuser account capable of seeing all the hole cards, so the owners and others with access to these accounts were cheating players out of millions of dollars. And when these two sites were shut down, players and affiliates lost all their funds. Paul Leggett has since stepped down from his position at Amaya only because no legitimate jurisdiction would license the poker brands while he was in charge. Amaya Inc. is trying to rebrand Full Tilt as a brand that we can all trust, and the company is positioning itself to provide services throughout the U.S. based on expectation that online gambling will soon be legalized. However, Amaya’s unscrupulous money-grab has alienated its online marketing partners so the online community is backing away from their poker brands. And we cannot shake the distrust of Full Tilt Poker which has had a pervasive culture of corruption, criminality and disregard for its customers. How anyone could ever trust Full Tilt Poker again is beyond us. Full Tilt Poker is a scam – stay away. We recommend William Hill which offers a fair and popular poker room. You can read our William Hill review here. 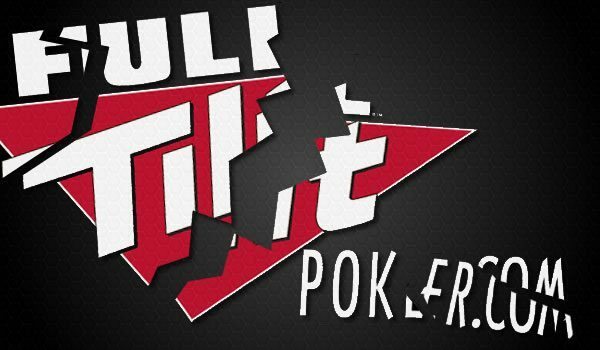 How were your experiences with Full Tilt Poker? Let us know. Full tilt is rigged..... I started with the 12,500 play chips they give you...and I now have it to over 11 billion chips. My point is I've experienced a ton of success, I'm not here to complain. Their cards are not random.....they create action. More action means more rake, more rake means more idiots spending cash to buy "play" chips. The draws get there too frequently, therefore creating more action( therefore maximizing the rake). It also allows bad players to survive longer......bad players who get there with their draws are enabled to endure longer and not get crushed. This allows them to stay in the game longer, therefore the rake stays longer, therefore the overall chips dwindle, so people can buy play chips more often. Full Tilt has no shame. The continuous 'hand over hand', rivered flush over set, set over set, flush over flush,..... oh and the ever popular top pair, top kicker vs bottom set. It's absolutely pathetic. It's painfully obvious to anyone who knows poker that the site is not RANDOM. Anyone who buys play chips is a fool. I always knew there was some fish going on with FTP. The sleek ads and nice look of the game could not hide that there were bad things going on in the background. I once had about $500 bucks on my account and it didn´t go smooth to withdraw the funds. Quite the opposite. First there were "technical delays" then someone emailed me to excuse the delay and I was to give my bank credentials via phone. After I declined saying that they already have everything they need it took weeks again before I heard. In the end I got some $395 bucks back with processing cost and withheld "state tax" which is BS. So I stopped playing with FTP. Now I know why. Bigtime scammers! DO NOT JOIN FULLTILT. They overdrew my credit card by $200 and refuse to return the funds. STAY AWAY...let my bad experience be a lesson for you. I believe zzxas to be working for Full Tilt poker. His/Her username is irrelevant because they could easily change it if suspicions arose. Over 20 years experience in real and online poker, very few trustworthy sites, I admit, but Fulltilt is the most biased and a total scam among all the ones I've played. You might win something but they will eventually make sure that they take it all and make you deposit more for it, it's rigged to the core with advance algorithms to make the most money they can out of you. My humble advice please stay away from all fulltilt products and if ever someone finds a way to get back to those bastards count me in, they deserve to pay back. They now have a new game out on Steam, where they are offering players a chance to buy "chips" but not withdraw winnings.... I thought they couldn't do this?! Crooked bstrds. "Note: This is a play-money game and whilst you can make in app purchases to top up chips, real-money gambling is not facilitated." So why they are skirting the law by not offering gambling, per se, they are still taking peoples money..
After years of emailing abuse to full tilt about the beats I took, bad abuse, they never kicked me out. But, when I won a 180 man SNG for a chance to play another tournament to get on POKER AFTER DARK, before I could find when my next tourney was, they kicked me out while I was STILL LOGGED IN. Fishy for sure.